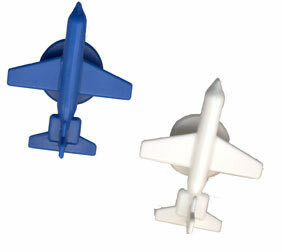 These Plastic Airplane Game Markers are great for board games, promotions, and more. Each Airplane Game Marker measures 1" long on a ½" base. Airplane Game Pieces are available in black, blue, green, and white. Contact us for more information.